What a lovely quilt! And it's good to see that beutiful look with those staight lines you've quilted. Needn't always be "swirled". Looks wonderful. Thanks for walking us through the quilting process. 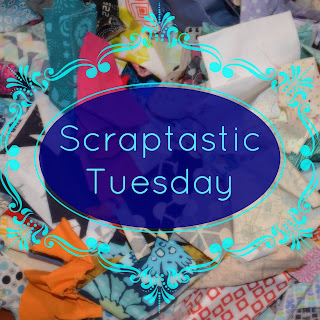 Love the quilting on your scrappy log cabins - so interesting to read about how you quilt with the long arm too. 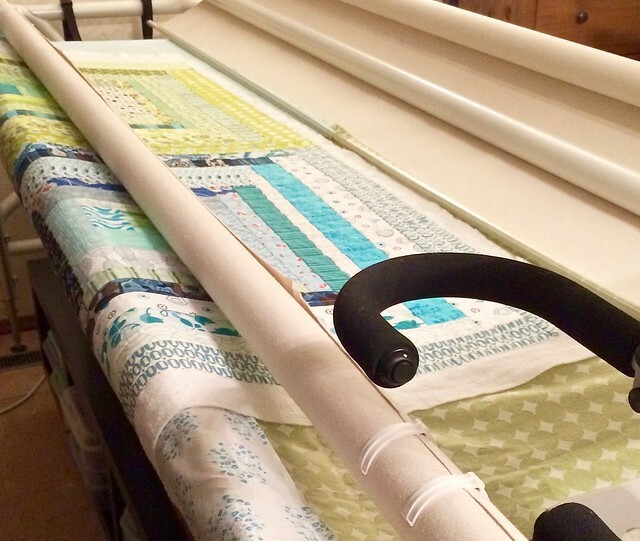 I thought I was the only person who still turned quilts on the frame. Looks great, so springy! Thanks for the giveaway, you made my day! 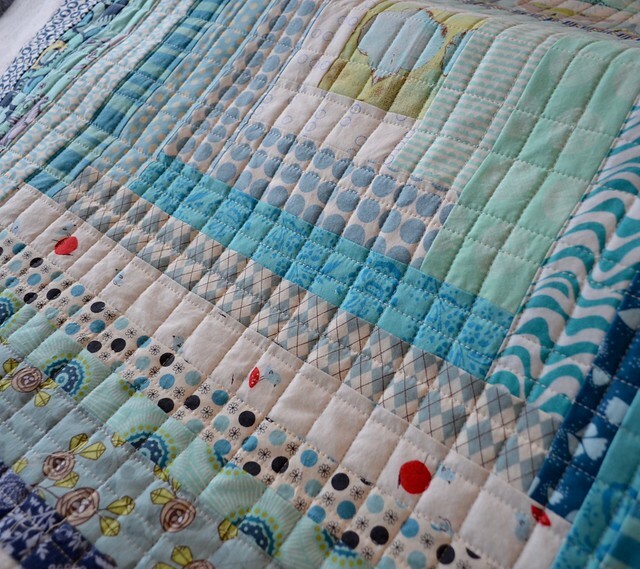 This is such a gorgeous quilt that is feeding my need for spring just now. Very interesting explanation of the quilting, even if I don't long arm. Thanks for sharing that with us. 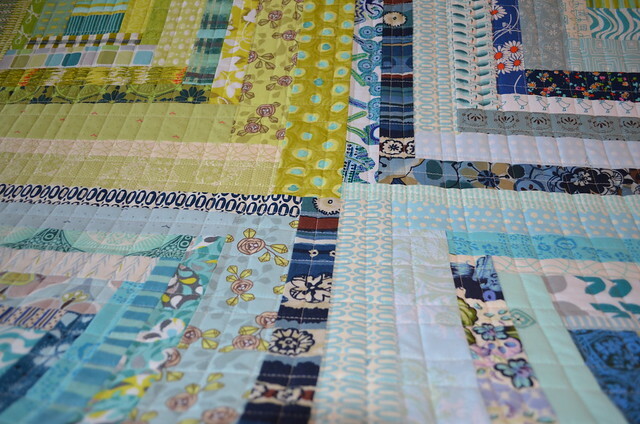 I love the quilt too...great colours on this one! And I'm excited to have won fabric! Thanks! This really makes me want to do a log cabin. Beautiful!! 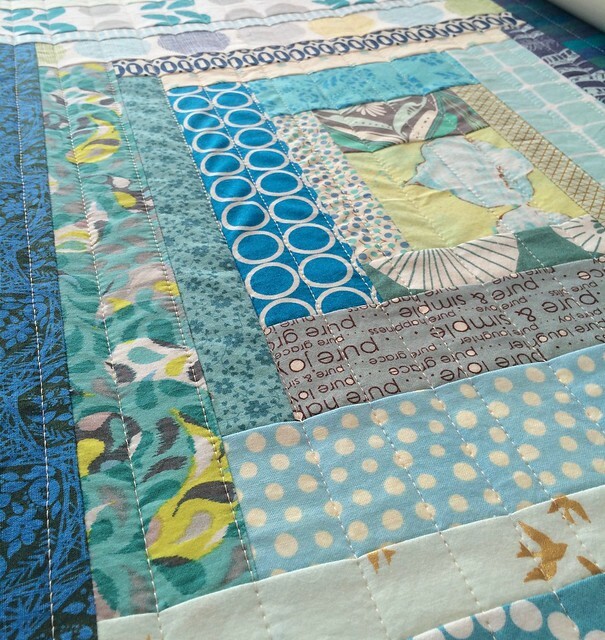 I love the colors in this quilt! Can't believe my name was picked! YAY! Did you send out those emails to the winners? I have not seen it...........OR I may have deleted it.. Thanks for drawing my name! Same here bluefigquilts, my name was picked too so I don't think you missed it. Love this Leanne, it's beautiful. 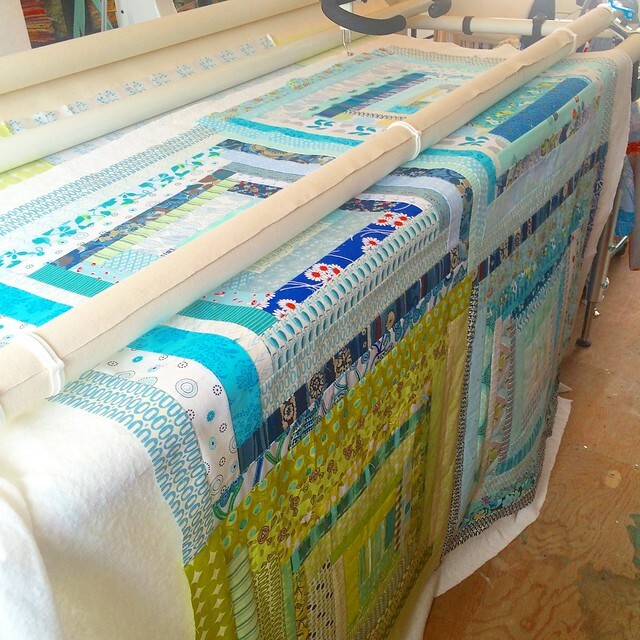 I love the piecing and the quilting. Very fresh and pretty. 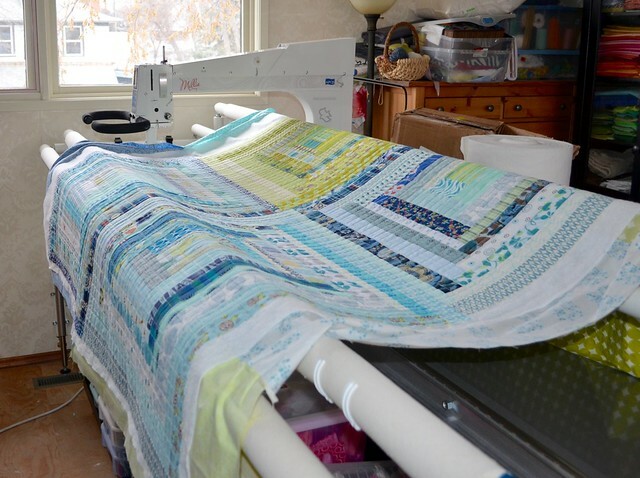 Long arm quilting is completely beyond me, but your result is wonderful. This will be a lovely finish.